Looks really sharp, congrats ! So, what's the "P" sign next to license plate ? Sakhir orange with silverstone leather? Yes, though I'd prefer Sonoma Beige ... so perfectly two-toned... won't be able to find that combo though since nobody seems to be ordering that interior. Second choice is Mineral Grey on either Sakhir or Sonoma interiors. Third choice is Silverstone on Sakhir or Silverstone interiors. i think yas marina blue... which is the only color choice in my opinion. Sent from my iPhone with TaT. It is unlikely I'll ever own an Estoril car. 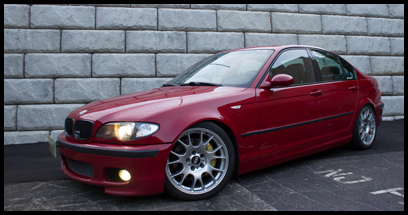 The ZHP isn't worth dropping 6-8 grand on a respray on... not until I'm loaded. I'd rather put that money toward my dream car, an F80 M3 with the Competition package. The brakes in that pic are the yellow BMW Performance calipers for the 1/3 series of the E82/E9x era. 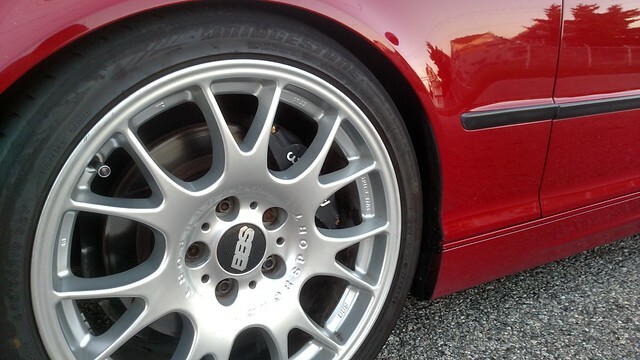 I don't have those calipers anymore - I have Wilwood Forged Superlite calipers now, all around. The BMW Perf kit was only for the front, and the rears were stock calipers, so it didn't quite look right from the side. Very true. The wilwood kit looks good. Definitely my choice as well though I'd get the aero6 myself since I can get a fantastic price on that locally. You guys can't get individual colours? I'm sure if you talked to your dealer, maybe even do a euro delivery you could get it. Definitely worth it if possible! Santorini blue for me. Or Mora metallic. Just beautiful. Provisional plates. Have to use them for 3 years. Essentially a stage in earning my full license. While you're on your p plates you can't drive cars with more than 125 kW or over 100 kph. Just Australian things. Silverstone is beautiful. Of all the factory m colours at the moment, that sakhir orange and yas marina blue are my favourite. But $5000 USD... just for a color that's not standard. That is asinine... and that's only assuming you can afford the buy the car new to begin with! Wow really?? Damn. I thought it'd be cheaper for paint over on the other side of the pond, haha. It's a culture thing I guess. BMWs are taxis and police cars in Europe, here in the States they're marketed as mid-high end luxury autos. So naturally BMW dealers Stateside have outrageous prices for certain things. Anyone do European Delivery or have an Individual ZHP?